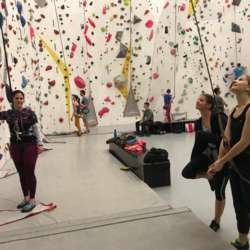 You must be a member of the Lausanne Indoor Climbing Group to attend this activity. Would you like to join this group? Lets climb together at one of the best indoor climbing walls in switzerland! Come and join us even if you have never done indoor rock climbing at all. All equipment can be hired at the place and there are good changing room and showers and a place where we can eat and have a drink after rock climbing. You just need to bring comfortable gym clothes, flip-flops as climbing shoes are not for walking around and a towel if you will be taking a shower. We will car pool to get to the place, please let us know in the comments if you need transport.